Lately I've been on a bit of an Indian lunch kick. I used to be a fairly regular customer at Minar on 46th Street, but for some reason and I'm not quite sure why, my lunchtime visits have dropped off. On a whim I decided to hit up Minar for lunch last week. When I get Indian food I love to have different things to sample, so the Everyday Combo with the choice of one meat and two vegetables rice or naan was an obvious choice. I completely agree with Zach Brooks that having to choose between rice and naan kind of stinks. I want rice AND naan. If you're willing to throw in the extra buck you can get both which is exactly what I did. 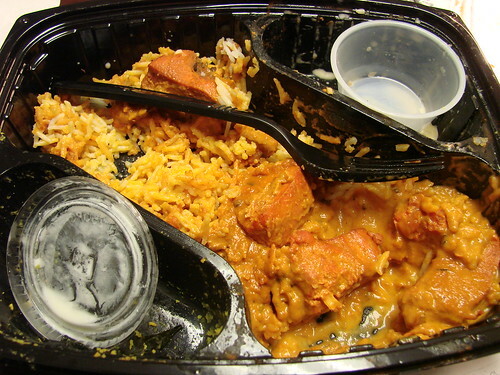 The vegetable dishes that I ordered were tasty--you can't go wrong with channa masala and curried veggies, but let's talk about the main event...the chicken tikka masala. Minar makes a mean chicken tikka masala. Their sauce had just the right balance between tomato, cream and spices. And it even has a little bit of a kick at the end. Delicious. And bountiful. On Wednesday I made a lunchtime visit to Indus Express. Still on a Minar Chicken Tikka Masala high, I decided to try it out at Indus Express. 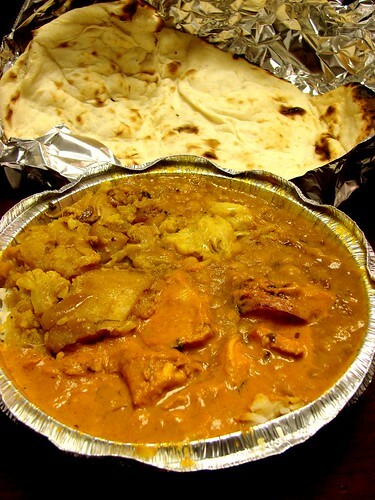 The same sort of combo--1 meat, 2 vegetables, and rice plus naan are included. The price is the same as Minar--about $9.70. Unfortunately their Tikka Masala was not worth it. The sauce was sweet to the point of being utterly cloying and almost tasted ketchupy. Not for me. I couldn't even finish it. If you have a Chicken Tikka Masala craving, I say Minar all the way. Where do you go for Chicken Tikka Masala? 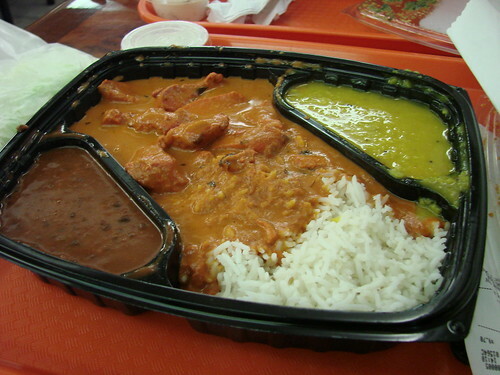 the best chicken tikka masala i've had was at Delhi Heights in Jackson Heights. BEST EVER! "Umm, can I have one chicken tick-a marsala?" Like, the best Chicken Tikka I have ever EVER haddd was in Mumbai for sure. But it's not like you can go to like MUMBAI everyday, ya knoww?! Sooo when the craving strikes i'd have to say Brick Lane Curry House is a pretty b*tchin' choice. The Rock Center Discount Returns to Pret!